Just like the short story in prose, the haiku in poetry, or the short subject in film, the humble EP is a form that can be enjoyed on its own terms. 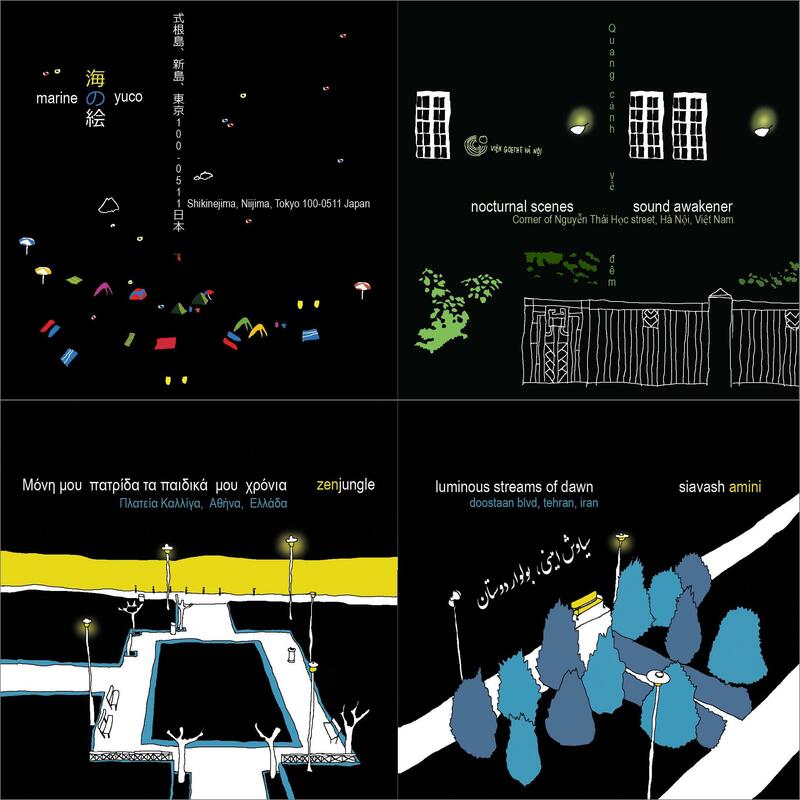 These four wonderful EPs that have something on common – each has exactly 3 tracks. The shortest lasts barely 11 minutes and the longest just over 20. Yet, each one is a complete and memorable musical journey worth taking. Interestingly I also found they they flow very nicely into each other when played through in the order presented, forming a lovely arc from sparkling tones into deep reflection. 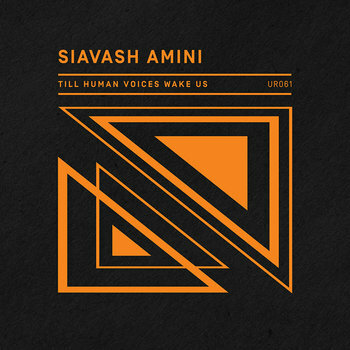 What Wind Whispered To The Trees by Tehran-based musician and producer Siavash Amini marks the second time that he has channeled powerful themes and cultural motifs from classic literature into a stunningly beautiful and uniquely moving collection of music. Released earlier this year, Till Human Voices Wake Us distilled T.S. Eliot’s poetic explorations of fragile souls seeking love and redemption into a vivid melancholy expressed through poignant guitar motifs superimposed over deep undercurrents of ambient drone. The author Amini chose for the new album is none other than the Russian master Fyodor Dostoyevsky, and while there is a certain reassuring continuity in his style and approach, there is also a dilation of tone in proportion to the comparatively grander scope of this author’s work. Specifically, certain tracks reference characters from The Brothers Karamazov (‘Aliosha and the Fire’) and Demons (‘Maria Timofeyevna’), but Amini does not attempt to recapitulate such vast source material directly in forty minutes of music. Instead he chooses a modern and poetically abstract exploration of their themes similar to and inspired by that taken in Andrei Tarkovsky’s 1975 film The Mirror . Rather than tell a linear story or fragments thereof, the album only strives to capture a zeitgeist. It reflects, reacts, evokes, and resonates. The masterstroke which really makes this all work and which distinguishes this album from Amini’s earlier work is two pronged. First, he intensifies the depth and distortion of his guitar creating huge sonic spaces and filling them up. Then he incorporates the impassioned violin playing of Nima Aghiani and unites the two in a richly melodramatic, neo-romantic style that is reminiscent of another source of inspiration for this album, composer Zbigniew Preisner (exhibit A, his soundtrack to The Decalogue). 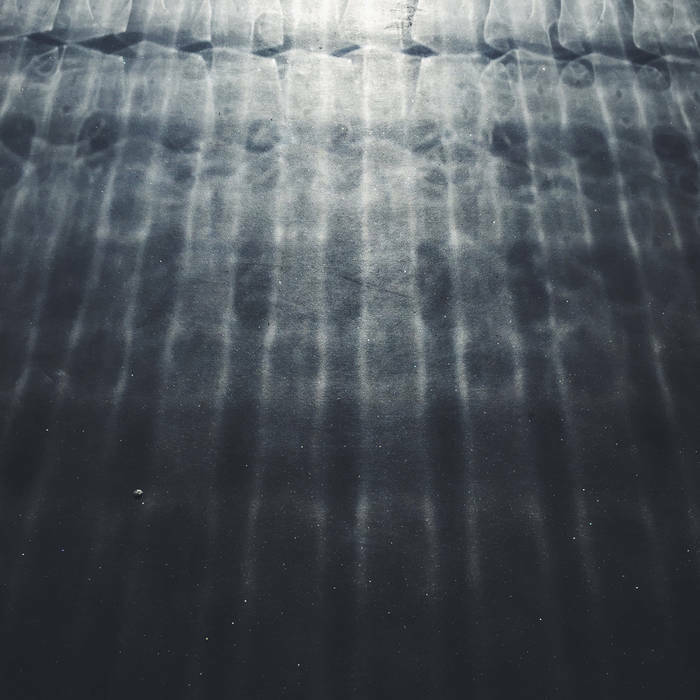 The result is a sumptuous and deeply resonant fusion of ambient guitar drone and modern classical styles that is both absorbing and intensely moving. What Wind Whispered To The Trees is expertly mastered by Lawrence English and is accompanied by artwork from musician/photographer Alex Kozobolis. The album is released on a glassmastered CD in a digipak sleeve by Futuresequence, a music label which has been doing great work in helping connect lesser known talented ambient & experimental artists with new audiences (side note: do not miss their eight free V/A compilations!). Listen here to the track ‘Dusk’ from the album and follow the link below to order a copy. 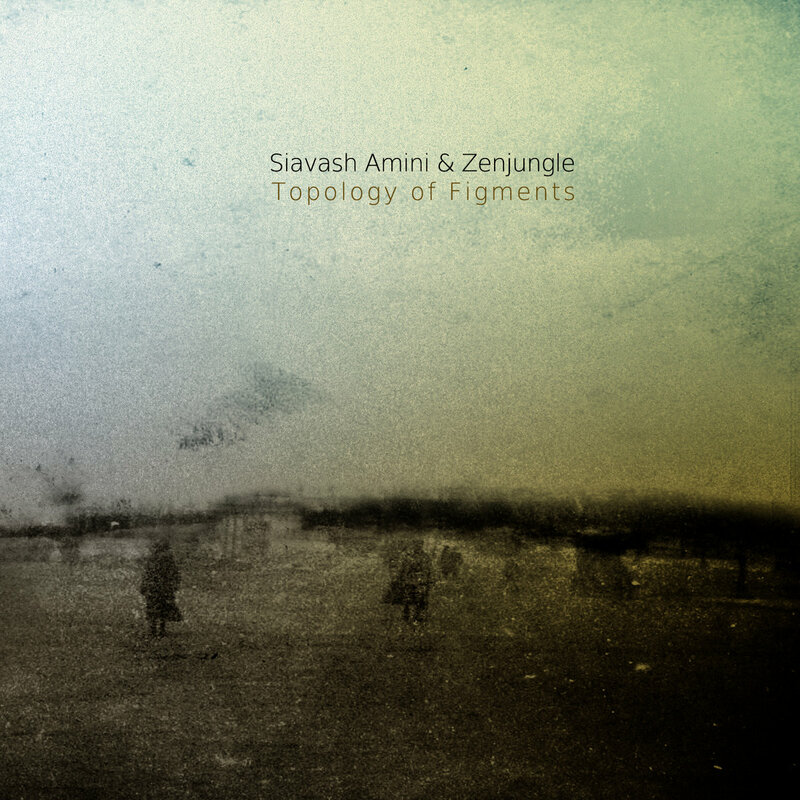 I have developed a real fondness for the deeply atmospheric and emotional work of Siavash Amini. His album Till Human Voices Wake Us, inspired by the poems of T.S. Eliot and released earlier this year by Umor Rex, is already on my best of 2014 short list. I am very pleased to see that his next album will be released by Futuresequence in October. What Wind Whispered to the Trees is likewise drawn from literary inspiration, this time on the works of Fyodor Dostoevsky. The preview tracks are simply gorgeous and the dense textures and raw strings render the new songs more effusive in keeping with the epic source material they reference. Expect a gushing review soon. I recommend this one unreservedly. Volume Two of Hammock’s beloved The Sleepover Series is due to be released in the next couple of weeks. Inspired during a retreat in Big Sur, the project was interrupted early in it’s life when Marc Byrd needed to take time off for neck surgery. It is clear from the narrative Marc shares about the album that is both very personal and put together thoughtfully. He says, “As I began to heal, Andrew and I slowly started working again and the aesthetic of Volume 2 began to emerge. We did our best to just “follow the sound” and stay out of the way, attempting to leave space and texture as opposed to specific and linear melodic phrases”. I dare say this needs no more introduction than that. Follow the link below to read the rest of what Marc has to say about the project and to pre-order the album in digital format, on dual CD, or as part of specially packaged bundles with volume one. Originally released in December 2012, Poppy Ackroyd’s Escapement was a revelation, a delightful experimental excursion into the possibilities of the piano played in both conventional and unconventional ways and which was as surprising as it was beautiful. This month, Denovali will be releasing a new DVD edition which presents each of the 7 pieces accompanied by a unique synchronized black & white short film created by Lumen (Bristol UK based visual artist Tom Newell). Sure to be a treasure for fans of the album as well as those who have not yet discovered it’s pleasures. ‘The Dusk and You’ was an unexpected treat posted by Melorman, Athens based electronic music project of Antonis Haniotakis. It is a lovely downtempo summer reverie in sparkling tones, a musical confection that both soothes and lifts the spirit. Composer Michael Price, well known for his soundtrack work and recently featured on Stationary Travels for his collaborations with cellist Peter Gregson, posted this gem on his Soundcloud page, which he simply described as “effected piano joy for your ears”. ‘Colliding’ is exactly that. A sublime piece and generously offered as a free download. 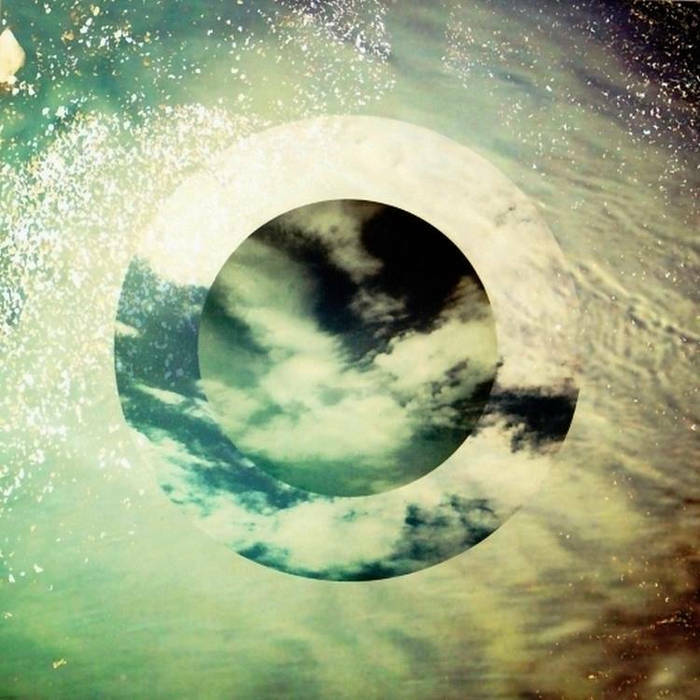 Shannon Penner, who records ambient & post rock music as Orbit Over Luna, recently acquired some new gear and used it to create this mesmerizing drone improvisation which fans of ambient guitar will appreciate. Shannon also wrote about the new setup and how it has altered his approach and sparked his creativity in an interesting post on his WordPress site (link below). Although this might herald some new directions and new recordings, it did put me in the mood to listen to his last full length release, Transit. If you enjoy this improvisation, I feel safe in saying you will love that album as well and look forward to what he comes up with next. Unperceived Records is a new independent label just launched by composer & musician Harnes Kretzer based in Bonn, Germany. Take, Run, Lookback by Japanese duo Kakurenbo is the first new release in its catalog and constitutes a promising start. This is a finely textured electroacoustic ambient journey that skillfully blends eastern and western motifs across 5 lovely tracks. The EP is available in digital form on a pay what you want basis or as a mini-CD in attractive handmade paper sleeve packaging. Although modern classical composition is Kerry Muzzey’s main avocation, I actually discovered him through his ambient post-rock side project called Candlepark Stars. Several weeks ago he released his latest full length album called The Architect which was recorded with the Chamber Orchestra of London. I will admit I have not yet heard the complete album, but I have enjoyed several performance videos Kerry has published along with a nice making-of featurette, all of which are available on his You Tube channel and I look forward to spending more quality time with the music. The Architect is available on iTunes and on CD via Amazon (links below). Fans of modern classical with a cinematic style will definitely want to pay attention to this one. This solo album by pianist Yuki Murata of the neoclassical/post rock ensemble Anoice is an album I almost overlooked, but fans of piano and modern classical music should not make that mistake. The Gift is a lovely collection of solo pieces and ones accompanied by violin, viola, and flute. The approach is conventional (no electronics or experimental treatments and effects), but is elegant in both style and execution. A fine album to start or end the day with. It is the last line from the final stanza of T. S. Eliot’s The Love Song of J. Alfred Prufrock quoted above that musician/producer Siavash Amini has chosen to take the title of his newest album to be released by Umor Rex Records. In fact, the entire album is a musical exploration of the predominant themes, motifs, and emotions found in Eliot’s work – not only Prufrock, but also The Waste Land and The Hollow Men. The tracks on first half of the album are all titled with phrases lifted directly from the poet’s canon and construct a musical landscape as frozen, wistful, and alienated as the Eliot words describe. It begins with Eliot’s allusion to death and water from The Waste Land with ‘The Phoenician’ (“Phlebas the Phoenician, a fortnight dead, Forgot the cry of gulls, and the deep sea swell”) and then plunges into emotional depths with one of the most outstanding tracks, ‘Silent Seas’, drawn again from Prufrock and featuring distinctive and haunting ambient guitar sound that Amini has been making very much his own (“I should have been a pair of ragged claws, Scuttling across the floors of silent seas”). A trio of tracks follow, drawn again from The Waste Land, which convey the loneliness and alienation of modern life – ‘The Violet Hour’ (“At the violet hour, when the eyes and back Turn upward from the desk, when the human engine waits“), and ‘The Fog’, & ‘Unreal City’ (“Unreal City, Under the brown fog of a winter dawn”). These tracks are eloquent and delicately layered, but underneath their wintry tone they are churning with pent up and languishing emotion. It would be hard to imagine a more spot on sonic interpretation of silent yearning and muted anguish. In the second half of the album, Amini alters the gloomy trajectory of the typical outcome for an Eliot protagonist and weaves his own narrative into the sequence. A softer, more ethereal tone is introduced with ‘Yelena’s Theme’. And, although ‘Shade Without Colour’ is taken directly from The Hollow Men (“Shape without form, shade without colour, Paralysed force, gesture without motion”) , a conversation with Amini about the record reveals this track could be seen as look both a look backwards at Eliotesque feelings before a hopeful step forward. This duality may also be reflected in the title and musical progression of ‘Corridors and Dreams’ (referring perhaps the “contrived corridors” of history from Gerontion?) . The album concludes with ‘Yelena’ (expanded from a theme to a fully realized song) and ‘The Chair She Sat In’, which could be interpreted less cynically than Eliot intended in the way he used it in The Waste Land (“The Chair she sat in, like a burnished throne, Glowed on the marble”). By the time we have traversed the complete arc, the listening experience is ultimately more redemptive, uplifting and emotionally satisfying. If you have the good fortune to already be familiar with Amini’s work, you should immediately realize how well suited his style would be to the fertile creative ground he selected and I can assure the music will not disappoint. ‘Till Human Voices Wake Us’ is a work of depth, finesse, and beauty with a poignant emotional undercurrent that gives it as gripping an immediacy as you are likely to find in a genre that is considered to be characterized by its unobtrusiveness. I have never failed to be delighted and moved by his music, and this album is no exception. It may be early to start calling out releases of the year, but I am confident this one will still be standing tall when it comes time to make those lists. Umor Rex will be releasing ‘Till Human Voices Wake Us’ digitally and on chrome tape cassette packaged on cardboard box 100% recycled, silkscreen printed, and limited to 80 hand numbered copies. See links below for ordering and to listen to ‘The Violet Hour’.